Be quick to get a place for this special and you'll get an Early Bird Discount! Book tickets here. This School of Everything Special is your chance to get a unique ‘behind the scenes’ preview of the beautiful and shocking film ‘What I Used To Know’ by Zoe Young. 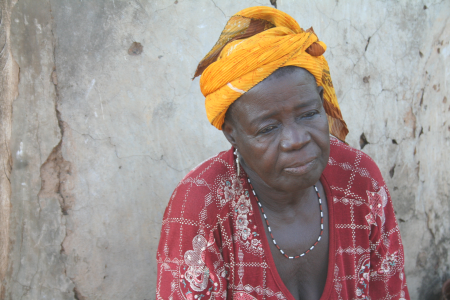 You will find out how Zoe came to visit the 'witches camps’ of Northern Ghana - hearing about ‘witchcraft’-related abuse from local police, chiefs, priests, and the accused ‘witches’ themselves, mostly older women who are battered and exiled for maybe being a bit mouthy, or not bearing children. In this class you’ll watch the 30 minute film Zoe made for Ghana TV as part of a West African campaign for women's empowerment and rights. You will gain an understanding of why and how witch hunts still happen around the world; learn about working with social movements in former colonies with little infrastructure and harsh conditions; and how you can help stop the violence against women both in faraway countries and here in London. There will also be discussion, debate, question time, and tips on how you could make your own campaign films. Zoe Young is a writer, researcher, film maker and educator. She’s featured on BBC Radio 4's ‘Pick of the Week' and been threatened by fascists in India and East London. She has made films with honey gatherers, conservationists and bankers, piqueteros, tax justice activists and her family. She’s written for the Times, in academic journals, anarchist zines and arts magazines. She’s worked with scientists and shamans, ubergeeks and woodsmen, underground rebel clowns and international civil servants.